Whether you know it or not, you have probably seen Seung Yul Oh’s work somewhere in the country or somewhere on your Instagram feed. 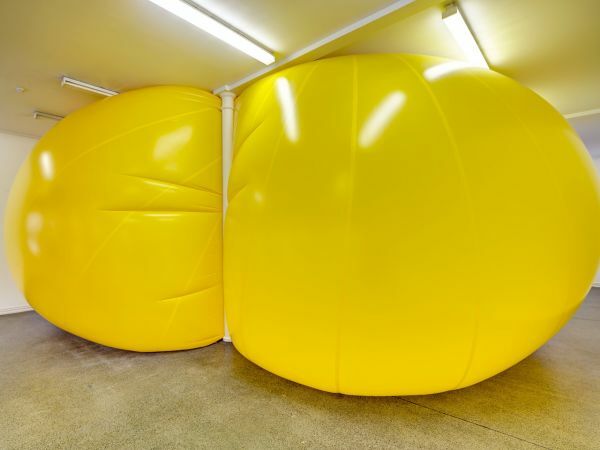 Whether it be his exhibition at the City Art Gallery in Wellington with his large yellow inflatable balloon forest of sculptures to the shiny coloured eggs that sit around Teed and Osbourne Street in Newmarket- Seung Yul Oh is a well embraced artist in New Zealand and we’re totally inspired! Currently, Seung Yul Oh is exhibiting work represented by Seoul art Gallery One and J at Artbasel Hong Kong! Living between Korea and New Zealand, he often shows at Starkwhite Gallery in Auckland- showcasing his vibrant and interactive artworks that encourage the viewers to embrace their inner child and play! Keep your eye out for Seung Yul Oh’s distinctive works around town and have fun with art!